The annual World Origami Days start today and run through November 11, 2013. 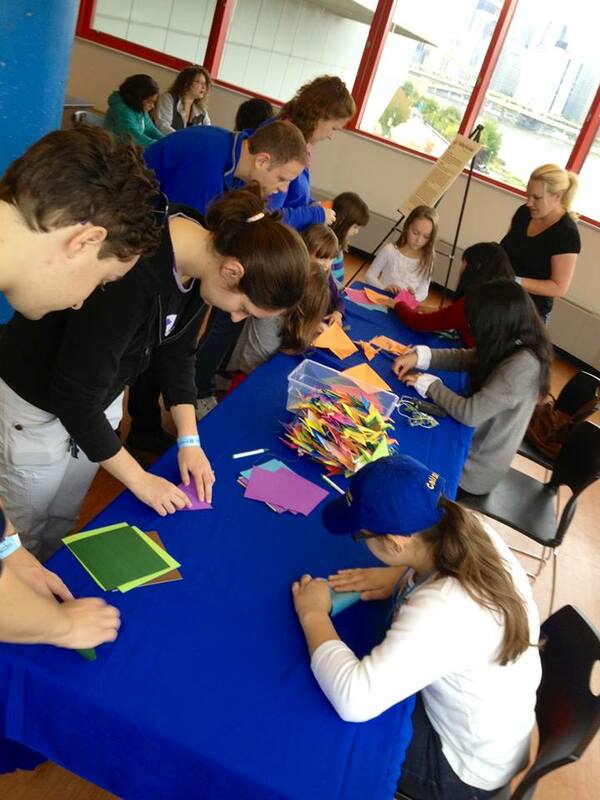 People everywhere are invited to, “make origami as visible as possible, “and “spread the joy of paperfolding,” according to Origami USA http://origamiusa.org/wod which also features a free, downloadable, commemorative poster on its’ website. How can we make the STEM in folding paper more visible during the 2 ½ weeks of the World Origami Days celebrations? 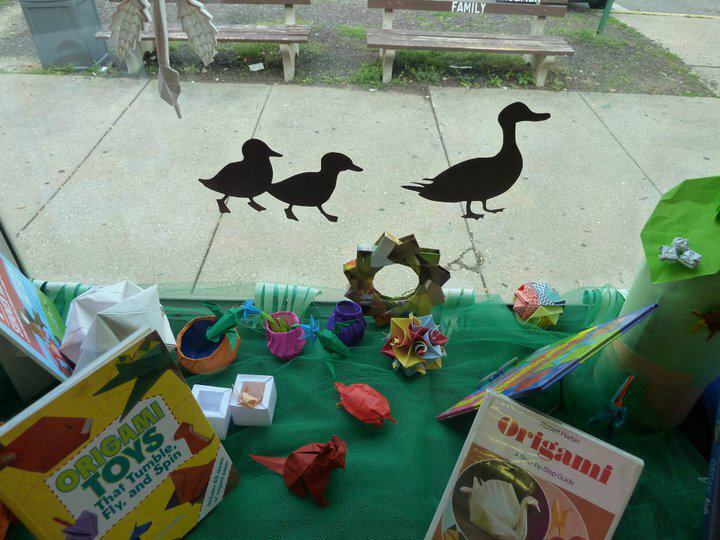 Consider designing a library display, like the one pictured below, and place geometry and math books next to origami themed books and kits; include diagrams! Write an essay about origami and remember to mention the geometry and math implicit in every fold. Make a poster showing some science connections. One of my favorites is the origami waterbomb base—the origami balloon—which is the inspiration for the stent which blows up inside a vessel within the human body to fit as needed and to compact itself to thread through tiny spaces to the necessary location. Fold flatability is valued in both origami and in biomedicine. Or volunteer to talk about origami in front of a group—-and take visuals with you; people connect with origami when they can hold it in their hands. You can always go undercover with your STEM. Do some folding. It’s simple to carry a few sheets of paper and fold between classes, at breaktimes, or as an activity at a civic, school, or church group. It quickly dawns upon newcomers that we fold in angles, and can predict what the model will be from studying the crease pattern. People soon deduce that doing origami improves focus, memory, and spatial ability, which is considered an early predictor of talent in STEM. Many people will say that folding immediately has a calming effect on them. You can also plan to Do Good with your folding. 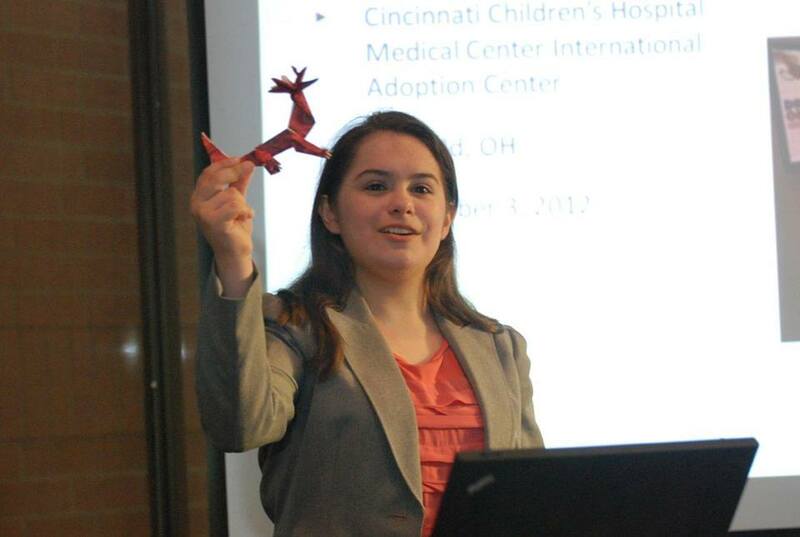 Collect origami models to donate to a children’s hospital, rehabilitation facility, or nursing home. Paper models do not shatter, are small enough not to clutter, and collect little dust and grime. A few years ago, I made baskets of origami flowers for a rehabilitation floor my grandmom temporarily lived in after having a knee replacement. Many of the patients there fastened various kinds of origami flowers to walkers with pipecleaner “stems” which made for icebreaking conversation in therapy! Whether you are folding or admiring, origami relieves stress. Origamis are brain teasers that can be reverse engineered, which productively entertains the mind. 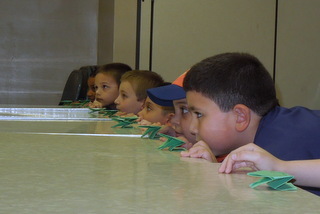 You can always make up some games using your origami models, like the one at left, to see whose frog jumps furthest. And models make good decorations too. Happy World Origami Days. Here’s hoping that over the next few weeks, we all find some new way to Fold for Good and appreciate the STEM in origami. This entry was posted in Art, Math, Origami, Science, STEM.